Good Monday morning, y’all! Just popping in to say hello and post the recap video from Living Proof Live this weekend. We’d love to hear from you if you were there! Thanks, Rich, for your hard work. Also, be expecting to hear from Amanda quite a bit this week as she travels with Compassion International to Ecuador. I, for one, am looking so forward to reading what all the Lord will do in and through their team. Would you journey along with her as well through prayer? I know they would covet each and every one of them. You ladies are awesome! We love y’all. This entry was posted on Monday, November 7th, 2011 at 9:08 am	and is filed under Uncategorized. You can follow any responses to this entry through the RSS 2.0 feed. You can skip to the end and leave a response. Pinging is currently not allowed. I went with a couple friends from Sheridan WY. How I needed this weekend! Thank you Living Proof for all you do. It was amazing. Thank You Jesus! Absolutely praying for Amanda and the entire Compassion team! Thank you for an AMAZING weekend! My friend Katie and I had so much fun and learned so much. We were even blessed to run into Beth at a gas station heading back to Colorado! (Thank you Beth for putting up with us crazy fans!) – Carrie from Colorado. I was so blessed by the Casper event. Thanks for coming. I am still thinking on the message and thanking GOD. It is so overwhelming and brings tears to my eyes. What is like to be surrounded in the beauty of God’s presence in the midst of all those women?…and the song Travis sings is so touching to my heart. It must be a part of Heaven in the midst, because I can just feel and see God right there! Will be praying for Amanda as she travels to Ecuador. He will hold us in the palm of His hand. And builds in us a sanctuary of blessing! For this is a testimony of our faith, God in us, through us and for us. Thanks Beth, Travis, worship team, and the Lifeway team for faithfully serving God and us last weekend! It was all just what we needed! Praising God for the 10 new sisters in Christ. Whoo-hoo!!! What a blessing it was to have gone to that event and for you all to come to an out-of-the-way place like Casper. Especially since it started snowing afterwards. The message touched my heart and the worship lifted it. Thank you all soooooo much for coming! I absolutely will pledge to pray for Amanda on this mission trip! I look forward to reading her posts. Thank you for an amazing weekend! I learned so much! I brought 10 friends with me and we are part of the same bible study group. We have done several Beth Moore studies (Psalms of Ascent, Breaking Free, Annointed/Transformed/Redeemed and now Living Beyond Yourself). Beth speaks to us in such an amazing way. Thank you for all you do for women Beth! We appreciate it! Much love to you all!! I was at casper for conference, drove from Cody. Injoyed every minute of it. Going back over the lesson book and am so inspired by this weekend. thank you Beth and I thank God for you. I prayed for her and the team. Thank you so much for such an uplifting weekend in Casper! It was wonderful to be able to come and worship with you and the rest of your team. I dont know how God does it but every event I’ve been to He’s used your message to hit straight to my heart for where I am in my seasons. Just want to thank you again for coming to our region, I look forward to each and every one of your LPL’s. May God continue to bless you every day! Hi!! I am so excited for the next event!!! My best friend lives in Pensacola and I am all the way up here in MI and I am going to have the sweet opportunity to fly down to see here in a few weeks and we are coming to see you at the Pensacola LPL!! We are giddy and so excited to see what the Lord will do! This is so random but, a while ago you mentioned that your favorite mascara had sadly been discontinued….and I just wanted to let you know that if you have not found a replacement, you should try “They’re Real” by Benefit. I tried it for the first time this weekend and fell in love! My lashes have never looked so long and pretty! lol! It’s great! I hope you have a blessed day!!! I am so thankful for this blessed ministry!!! I had the privilege of attending Living Proof Live in Casper this weekend, and WHAT a blessing! I enjoyed worshiping our Lord with an awesome group of women; singing, laughing, and crying (sometimes all at once)! Beth is such an inspiration and I enjoyed seeing her in person and I will definitely be looking forward to the next conference. It was also nice to learn that Beth is a true ‘Wyomingite’ and she really understands the beauty and majesty that Wyoming offers. Thank you for a tremendous experience that I will treasure always! What a wonderful time with the King this weekend. Beth, thank you for serving, obeying, listening, surrendering,to Our Lord. Love your transparency and passion for teaching His Word. Travis and team, thanks for your commitment to worship. The worship prepared our hearts for hearing. What a wonderful gift God has given you, thank you for your continued commitment to wholeheartedly serve Him. I continue to pray for a Siesta that was bringing her niece to the conference. I would love to know if she was one of the 10 ladies that came to know Jesus as Savior this weekend. I would love to share what all God exposed to me during the 2 days but I have already said enough. He continues to do His Wondrous work in me, through the teaching of His word. Thank you again Beth for your love for Our Lord. Everytime I watch one of the LPL videos and see all the beautiful faces of these women….and a few brave men (as Beth would say), my heart is so full……Contrary to what the enemy would have me believe….Jesus is at work and there are MANY Christians all over this world who love Him and are living for Him! Reminds me to keep my focus off of the negative and evil I see in this world and keep carrying on the work of Christ…..because people really are seeking!! The battle is the Lord’s and He has and will overcome! Praise Him through whom all blessings flow!! Will be praying for Amanda while she travels! Looking forward to updates. My older two daughters just sponsored 2 precious boys on Fri. with Compassion (one is from Ecuador. (younger 2 girls sponsored 2 boys on Sunday through World Vision) So excited about what God is doing through both of these ministries!!! What an amazing weekend! Thank you for expanding on two stories I have always just skimmed over. It was such a blessing to worship and fellowship with so many awesome women. I pray safety and hearts turned toward Christ as Amanda missions in Equador. Thanks Beth and the whole Living Proof Live team! It was a blessing to worship our Lord through song and the Word with you. I was able to grow closer to the Lord and be challenged by Beth once again! Also it was cool to see me and my sweet little baby Hannah in the video. Thank you so much for coming. God really used you bless me and speak to my heart. I learned that I need to stop acting like I am lame and get up and leap for joy, because Jesus has healed me and made me well. Casper was an amazing weekend for me. My former daughter-in-law was there. We stood and hugged and cried in amazement at what the Lord has done in our lives. My son, Michael died after a bitter divorce. The hurt and anger was more than I even want to give credit to the enemy for. God has more than healed my heart. During the song I sent her this text across the stadium “The Word of God has spoken we are free!” She returned the text ” Amen sister, God Bless You” Amazing, Amazing God!!! My niece was able to attend the conference in Wyoming this past weekend. Thank you for the scholarship program, she would not have been able to go otherwise. She was blessed! Please pray for Reva as I am not sure of her relationship with the Lord. Will continue to pray for Reva, so glad to have a name. I was hoping she was one of the 10 that went forward. BUT, will continue my prays on her and your(flip flop) behalf. I can’t express what these recaps mean to me. Somehow, they make me feel this unbelievable connection to all the other women out there who are part of this inexpressible body of believers with me. It’s such a connection. I don’t have to be in Casper or any of the other Live cities…I just feel as though Jesus is personified in these gatherings and the video brings me right in with them. I’m never alone. You’re all out there. I think Jesus is just reveling in it with me. What a blessing this event was! I loved every minute of it! Thank you to the whole team and especially to Beth for allowing God to use you and to be a vessel for Him. You challenge us all to grow and go deeper in our walk with the Lord. You are a real blessing! Prayers to you and your team! Well, you KNOW I was there! I won’t let you get this close and not make the trip. I have lost count on the number of events I have been to and have sat under your teaching. I have never left one of them feeling like I did not hear The Word, or that I didn’t fully Worship Him…Casper was no different. It may have been just a bit more blessed as I had my two daughters with me. It was my youngest’s first lpl and she loved it! And thank-you lpm and the Siesta scholarship fund for the tickets. We are grateful and blessed to have been there. To say this year has been difficult is a mammoth understatement! My girls and I soooo needed this time together with the Lord. Wyoming and this Siesta are always happy to see you, Beth! Amanda is absolutely in my prayers! All praise and thanks to my Heavenly Father, from whom all blessings flow — the giver of all good and perfect gifts. You paved the way for Delinda and I to attend. YOU were present in Casper in a very real way. Your Word is alive and active, and You came to change us last weekend. Thank You Lord. And thanks to Beth and ALL the faithful servants — the anointing of the seats is a beautiful gesture. The praise team led us straight to he throne of grace. the message strengthened my faith. and no matter what may come in the days and weeks ahead, I WILL rise up, and I WILL walk this walk of faith. And I will leap for joy for all our faithful God has done. “The Word of God has spoken — we have been delivered!” Amen! I thank God for a blessed weekend. I had the honor of bringing my eldest daughter, a mere 11 years old, with me. We so much enjoyed our time together. Beth, what spoke most to her was not your words, but your actions. She was so moved by your kneeling to pray to our God. Thank you for humbly serving our Mighty and Holy King. Thank you Beth! For the gift you have received and the courage to share it. You make God smile. You are a living example of how one person does make a difference. I was there and loved, loved, loved it. I felt so blessed to be there, our God is an awsome God and I thank Him for leading me to be there. Thanks to Beth and Travis. I will never forget that powerful 6 hours spent with you. Thank you and God Bless you all. Praying the team will not leave without giving what God has called them to give and not without receiving what God has specifically for each of them!! Praise HIM! Blessings Amanda for a “divine” trip filled with the joy and encouragement of the Holy Spirit for all. Thanks again for the recaps, they inspire my day. What a privilege to know about LPM and share in the move of our Lord through all of you. 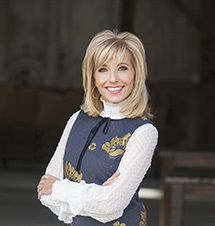 Is there a search engine for all of Beth Moore’s Bible Studies? Sometimes, I will remember something I read in a past study but can’t find it. Having the ability to plug in a word or theme would be such a great help. Thank you. Crystie, I am so sorry, we don’t have anything like that. Your best bet would be lifeway.com and see if you can search on their website! Just want to send a quick note…9 women and I sat down last night and watched Session 1 of James…Already on Day 2 of Homewor (oops…couldn’t wait!) and I LOVE IT!!!!! Already learned some things..I HAD NO IDEA!!! Thank you thank you thank you , Moma Beth and Melissa!! (P.S. Thanks for Writing Peyton – MS. Teen Texas…She was beyond Thrilled!) You are so kind. How do we find the siesta pictures taken with Beth at the Living Proof events??? Anyone know? We saw her in Salt Lake City and still can’t find the site! Thx a bunch! Hi Christi! Here is the link to the pictures: http://www.flickr.com/photos/lplsiesta Hope that helps! Hooray!!! It worked!!! Thank you SO very much, Lindsee! Happy memories with our Siestas! can’t wait to all be together in January! Wow! How awesome is our God! This weekend was the best and just what I needed and only God knew that. I live in Colorado and with my sisters in Christ we drove to WY. I had surgery the Tuesday befor but nothing was going to stop me. I had the honor of being one of the encouragers and words could not tell you how scared I was. I did it and I was so blessed when we were done with the prays. As Beth would say I stepped up!God has used Beth in my life to encourage me, to belive in me. Thank you to my Church Spirit Of Hope Lutheran for making it possible for me to go. Thank you to God my all! I am thrilled that your daughters came with you! What a rich heritage you are giving them! Next time I see you (June; Colorado Springs?) I will need to tell you about my moose encounter. In my back yard. Only in Wyoming! Hi you!!! So sweet to hug you again! I too am thrilled my daughters came. And yes, JUNE Colorado Springs! Yep, I missed the Siesta shoot. I guess I just wasn’t paying attention, and missed the announcement. I had seen Rich earlier, so he knew I was there. But it’s my own fault. I kind of looked around and didn’t see anyone “official” herding any Siesta looking people. Moose is not talking to me. Pretty miffed to not be able to see the Siestas and Beth up close. He’ll get over it…maybe. Mooses seem to have good memories. Beth, I have been calling all of my friends to tell them of the 8 points of the weekend. The LORD woke me up at 4 a.m. to deal with me and my begging. More specifically, what I’m NOT begging for that I NEED to be begging for. And then we started working on my pahhh-p. 😉 I haven’t picked it up, but I W.A.N.T. to pick it up. LORD, help me to not have the want! Seriously, I’m still holding on to the words that you came to Laramie to specifically share with me in ’08. 2. STAY IN YOUR OWN LANE (I remember the story you told about the sweet child who won a medal because he was the only one to stay in his own lane. That is a message to me to keep my eyes on what the LORD wants me to learn, not anyone around me. What a great conference in Casper. It was good to back in my home town and praise the Lord with so many other women. Beth, thank you, for your continued faithfulness to the Word and teaching. I try to get to as many conferences as possible and am looking forward to seeing you next year in Colorado Springs. I, too, couldn’t wait to share the 8 points you gave to my friends who couldn’t make it. My husband said I was on a “spritual high” on the road trip back to Rapid…..I was talking so much. 🙂 Thanks, too, to Travis and the team. I love to praise the Lord through music….it just brings tears to my eyes. I was there this weekend and it was great! I did want to tell you a funny story. As we left on Friday night my garmin took us on a small road thru a shooting range to avoid traffic, and on that road we had to slow down to avoid 4 antelope LEAPING! From my friend Heather when she saw my post of the front cover of the new James study. I have an urgent prayer request for all of you, Siestas. Please be in prayer for my nineteen-year old daughter who is away at college. She has been experiencing some problems and is talking suicide. The crisis team is with her at this moment, but please help me pray that God willl just deliver her from Satan’s snare. I know she is His,and she really needs clear guidance at this moment. Thanking all of you ahead of time. Praying right now, Pamela. My Christ be so near. Prayed for your daughter and all those around her. May Christ and His resurrection power heal her heart, mind, and soul and send Satan running. I am praying for your daughter. When I read your post the Lord immediately reminded me of Psalm 119. No harm will come to your daughter’s tent and in Jesus name she will not be caught in the fowlers snare. Please let us know how she is. I have a daughter in college at University of Wyoming (I live in Casper). Wow was the first year and a half full of alot of creaking and groaning. All this does is make me insanely excited about the Siesta event in Jan! :) And Travis’ cd is the da bomb. I want to share with what happened at the Casper event. My best friend of 18 years and also my beloved sister in Christ went to worship the Lord with Beth. We laughed and cried,praised His Name and made new friends. Of all the amazing sisters there, the Lord placed this prescious women in my path. God you are so amazing! I have an annoying case of MS so we were in the seating on the floor. Diane stopped to talk to me. She has MS too! we had so much in common. We both have avoided MS support groups but found eachother. She told me about a web site called MS world. WOW. She was such a comfort to me. Here is what he Lord revealed to me in such a personal way. He will allow me to go through tough things but ALWAYS provides an extension of His arms. I find it so awesome that out of all those sisters there, He provided me with just the perfect set of arms! Praise Him.